Schertzing is an expert on emergency management and response, law enforcement, and security issues. 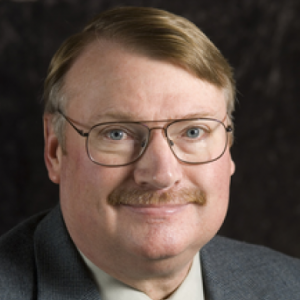 Appointed as an academic specialist within the MSU School of Criminal Justice since 2002, Phil has administered nearly $5 million in planning and competitive training grants from the U.S. Department of Homeland Security and various state agencies in Michigan as principal investigator for MSU. This includes the national Campus Community Emergency Response Team Train-the-Trainer Program for American Colleges and Universities. He teaches both undergraduate and graduate-level courses, including Homeland Security, Comparative/Historical Criminal Justice, Introduction to Criminal Justice, and Food Protection & Defense. His research interests include: comparative and historical criminal justice; homeland security policing; and the historical evolution of state-level homeland security, emergency management, and law enforcement. He serves as an editorial board member for the peer-reviewed Journal of Emergency Management. His outreach activities include active membership in the Michigan Citizen-Community Emergency Response Coordinating Council (MCCERCC); the Regional Advisory Council for FEMA Region V in Chicago; the Great Lakes Hazard Coalition; and the Tri-County Emergency Medical Control Authority Board. Prior to joining the MSU School of Criminal Justice, Phil retired from the Michigan State Police in 2002 with the rank of inspector, serving as assistant deputy state director of emergency management and homeland security.